Remember, each title is a link to a favorite clip of mine from each episode. Are they clips you've already seen me post here? One never knows. Even I'm not sure. What's that? You want the list already? Okay then! What, you ask? But you didn't even include this one on your list of the best episodes of season five! What a liar you are! Here's the thing. I know a LOT of people thought this was the best episode of season five, and I am nothing if not accommodating to others' tastes. And, yes, I can see why a lot of people view this one as the best of season five. 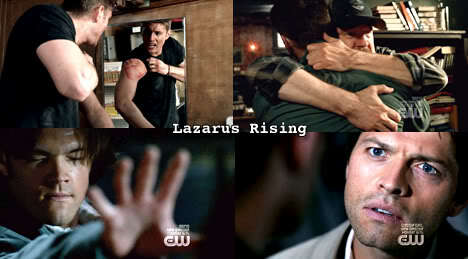 The production values, Jensen's performance, etc. etc. And I get it. The fact that it would not be in my personal top ten? Well. I'm okay with that. For the record, the one I would have placed here would have probably been My Bloody Valentine. But now we're just splitting hairs. 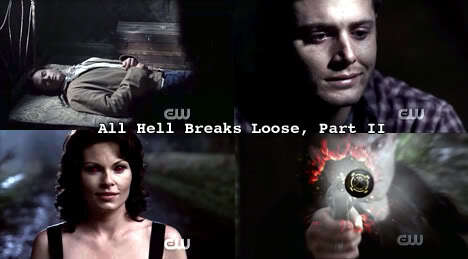 Supernatural's 100th episode wins the spot of number nine. I'm not sure what to say about these anymore, guys. I've grown tired after so many lists. How about I mention some random tidbit from each episode that always gives me pause/catches my eye/whatever other idiom-like-saying you like? Okay. Two things. 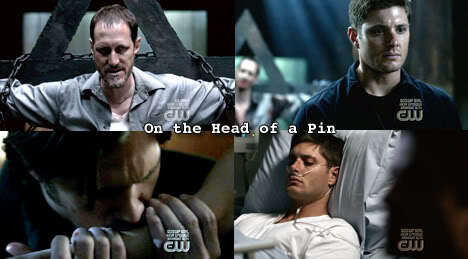 One: the opening, when Dean is virtually packing up his life. Awesome, yes. But the music, I found really distracting. It was so... floopy. Floopy is not a word, but it is the "word" that comes to mind. 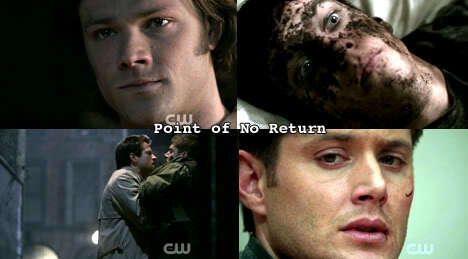 Two: when Castiel goes to find Adam, the ground is, like, pulsing. Is that really what the ground would look like if someone were trying to push themselves out? It distracts me every time. But, uh, hey. It's a great episode! I'm supposed to be talking about good things! Dude, I already did that back in the top 5 of season five. Get over it. Whatever ridiculous might have happened with Dean's necklace later, you have to admit that finding out how he got it was great. 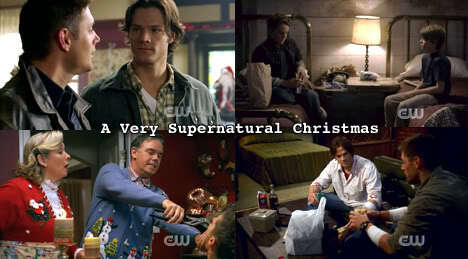 Why, wee little Sammy gave it to him back when they were just young lads alone on Christmas because of course John was being the terrible dad he usually was by not even showing up for Christmas! Let's see, what bit of this episode can I pick apart (muahaha)? I always fast forward through the opening with the random kid. But that's not really news, I do that with most episodes after the first watch, since a lot of them start out with the supernatural death to be investigated before getting to the boys. Do the rest of you do this too? Look at that, this is the only season 1 episode to make the top 10 list. Not to dis on season 1, but it's true. 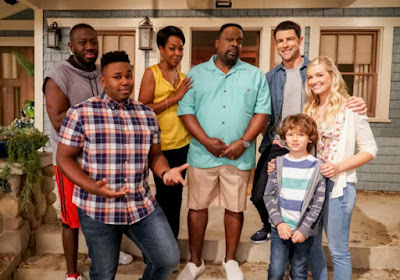 There just weren't a TON of knock-you-out-of-your-seat great episodes. But this? This is one such episode. Except for the stuff with exorcising Meg, because I actually find that whole section rather tedious myself. Once Sam and Dean go off to find their dad, though, the episode really picks up, and the ending scene in the cabin, leading right into the HOLY CRAP final moments, are so great that they make up for some of the boringness of the beginning. And it may just be me who gets bored by that beginning, anyway. I am fickle, in case you hadn't figured that out quite yet. Oh man. What a great episode. But you know what! There are bits I don't like about it too! I am never perfectly pleased, it seems! I don't know why I chose the top 10 list to go over my grievances, but what the hell. Might as well. Look, a rhyme! Anyway, the only thing that I didn't care for in this episode was alllllll of the angel stuff. I mean, there was a LOT of angel stuff going on. Castiel, Uriel, Anna. I loved any and all of the Alastair and Dean stuff, and finding out just how far Sam had gone to work his demony mojo, but I really could not give a hoot about Castiel questioning Anna about what he was supposed to do. It was nice to see Anna give the ole boot-a-roo to Uriel, but still. 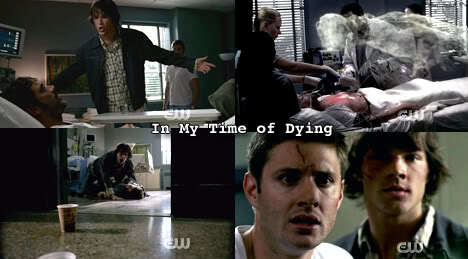 The ending scene, with Castiel and Dean, really gets me every time. My heart just breaks for him. And here we are, starting off the top five with a doozy of a head spinner for Dean. He gets juiced by a djinn and is set off to live in a world where one wish came true - that his mama never got fired up on a ceiling. Like all alternate realities, however, this one was not meant to last, because it was not so perfect after all. Of course, it was also all just in his head and not even real, so... yeah. The one thing I don't particularly love about this episode, however, is at the end, once Sam has found Dean in the real world and he comes back. Sam starts fighting off the djinn, and of course ends up getting choked, because what else is new, and then Dean, who is looking rather horrible from his ordeal, still manages to kill the thing even though he looked like he might pass out at any moment. I don't buy it! I realize he needed to kill it because of his ARC and WHATEVER, but... still. STILL. I just had a real debate of whether this one should go above the next one, but, ok, I've made the decision. It's going here. And you know why it's going here at number four instead of number three? Because for whatever weird reason, I nearly always fall asleep right as Dean and Bobby are going off to try to trap whatever brought Dean back from Hell. I don't know why! It's so weird, but I know I have watched the beginning a countless number of times, but the ending not nearly as much. It's weird, I agree. But that opening is really one of the best openings in the show's history. Random: does Dean still have that hand mark on his arm? We so rarely see his arms! I know he did partway through season four, but have we see his shoulder since then? I think not. Please correct me if I am wrong. And surely this must be reconciled! You know what I almost said? I almost said: "as far as season finales go, I think we can all agree this was the best one." LOL, I only just did a ranking of the finales two lists ago! What a doofus. And yes, this one was number one in that list! ANYWAY. 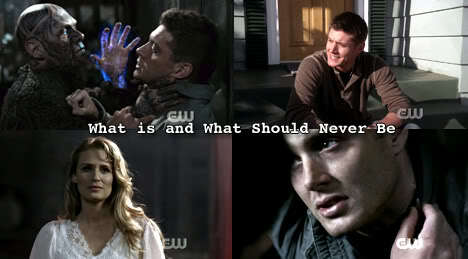 It's not only one of the best finales, it's one of the best episodes, period. Choose the screencaps for the above graphic became increasingly difficult, as there are just SO MANY. I tried to choose different ones each time I featured this episode in some list or other, so if you want other screencaps, feel free to go back through the lists and see them. But, yes. So much happened in this episode, setting so many things in motion. Dean sold his soul for Sam, he also got to kill Azazel, John escaped Hell through the Devil's Gate, along with any number of demons. If I had to pick something I don't like? I am coming up blank! WHAT! Well, it's true. We are now entering the top three episodes, of which I love every second. And you know what? I think I figured out what I love about every second (this is a continuation of my previous sentence. I hope you're not just skimming...) of these episodes. It's the fact that they focus so heavily on the brothers themselves, without so many side characters and other bits. And, whoa, I just noticed that this is the third episode from season two that made not only the top ten, but the top five! You can probably now see why I ranked season two as the top season. In any event, this episode is awesome. The only reason, really, why it doesn't get ranked number one is because, while it is certainly great, it is a very serious episode, and my top one has the full spectrum of Supernatural stuff (ie. lots of humor). In any event. I remember being rather floored by John's death. After so much to find him and reunite, he dies! 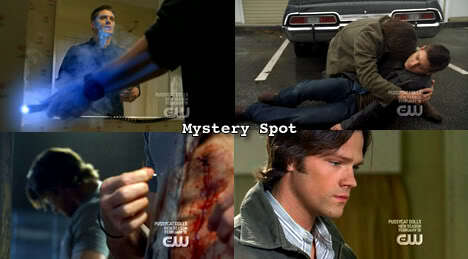 Do you know, every time I write down the episode number of Mystery Spot, I always want to write 3x16? Then I have to remind myself that no, that is wrong. I think I figured out why I do that - because I'm pretty sure that's around the number the episode would have been if season three had been a full 22 episodes rather than only 16. Okay, that was a large digression. I apologize. Anyway! As I said above, the reason this episode beats out IMTOD is because it has the full range of what makes Supernatural great - angst, drama, and lots of humor. The episode starts out being very funny, but eventually veers off into really dark territory when Sam actually has to live through months without Dean. The only thing I find upsetting is that they didn't really make it change Sam that much in the rest of the season, and I really think something like that would have changed him a lot. So that's not so much a fault in the episode itself, but rather the season. Because this episode is my favorite. It would take something really crazy in season six to topple this one off the number one spot. wow, you're not a Sam fan at all are you? I'm not sure what makes you say that, I love them both. Thanks bLueSpeCky - I'm glad people seem to continue to enjoy them! Voting in this category was really hard as you have listed all of my favourite episodes, although I must admit that for some reason A Very Supernatural Christmas does not really ring my bell. My favourite one to 'smile' along with is actually Its A Terrible Life. By the way...I also fast forward through the openings where the random victims are getting 'ganked' until I get to the boys. You are not alone!